Set in an alternate and gritty Japan where in order to quell the uprising of ‘The Youths’ a random class is picked to undergo the titled Battle Royale. The film starts with a horde of reporters swarming round that year’s winner, a small girl in a pink, gore-splattered dress possessing the blood-curdling and unhinged smile. We then move onto this year’s chosen class (although they don’t know it yet), a middle school class of 42 students and their teacher Kitano, played by Takeshi Kitano (Kikujiro, Brother). After trouble with the class, including being stabbed by one of the more troubled students, we see the students messing about on the coach on a compulsory school trip. However the students never arrive at their destination, rather they are drugged and wake up in an abandoned school with electronic collars on and two new ominously silent ‘exchange pupils’. When they have all recovered from the effects of the sleeping gas, Kitano accompanied by a squad of soldiers appears to explain what is going on with the aid of an incredibly peppy video the plan of Battle Royale. From the students’ reaction, it doesn’t seem like they have even heard of it before let alone that it was the big deal in order to keep The Youth in order that it was supposed to be. The outcome is that they must battle one another until there is only one left standing using the weapons provided in the packs, which could be anything ranging from machine guns and bow and arrows to poison to a tracking device right through to a pan lid. To make things more complicated, the island is split into zones and every hour a new zone becomes a danger zone which automatically catch any unsuspecting pupils caught in that zone. After proving that, it is indeed a matter of life and death (to a few unfortunate students) the class disperses around the abandoned island. With a class of so many, Director Kinji Fukasaku (Tora! Tora! Tora, Day of Resurrection), does a good job of showing all the deaths, many of which it would have been easy to overlook. Inevitably though, we end up focussing on two students, Shuya Nanahara (Tatsuya Fujiwara, Death Note), a sensitive boy who is coming to terms with his father’s suicide, and Noriko Nakagawa (Aki Maeda, The Cat Returns) the teacher’s pet. Battle Royale is an extremely imaginative and well thought out film. The range of deaths, from suicide to the hunting mentality to the paranoia between a group of friends is impressive and imaginative and the psychological effect of the task at hand on the teenagers, presenting the many different facets of human reaction is a real joy to watch. It is no surprise that Battle Royale is one of the highest grossing films in Japan and has influenced so many films and TV shows including Kill Bill and Lost and most notably the hugely popular The Hunger Games in which the parallels are as glaring as some of the outfits. 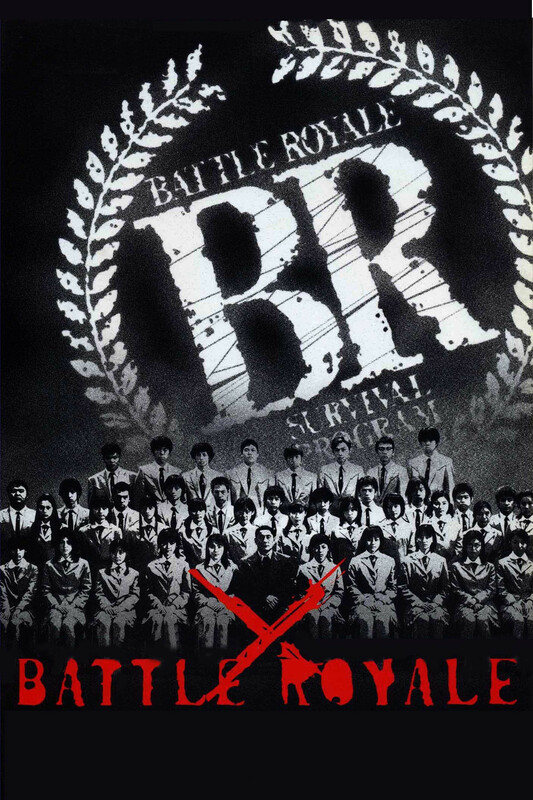 Fun Fact: Battle Royale is based on the novel of the same name by Koushun Takami published a year earlier. 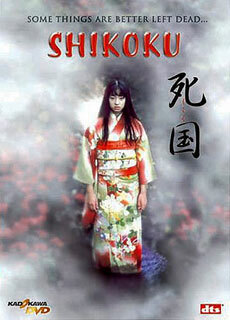 It has also been adapted into a manga series. If anyone has read either of these, I’d love to heartheir views on them! Suicide Club or Suicide Circle as it’s known in Japan (the original Japanese title being Jisatsu Sākuru) starts in the horrific fashion that captures the essence of the film with fifty odd school girls holding hands and jumping in front of a subway train. The scene is filled with a lot of blood but a surprising lack of screaming with the girls singing as they jump and the general public seeming too stunned to react. The film follows detective Kuroda played by Ryo Ishibashi (Audition, The Grudge) along with his colleagues detectives Shibusawa and Murata played by Masatoshi Nagase and Akaji Maro respectively. The three detectives are tasked to solve the schoolgirls mass suicide and it soon becomes clear that this is only the start of a rash of suicides from all walks of life including two nurses. A grizzly present is found at the site of several suicides in a white sports bag consisting of 10cm strips of skin sewn into a very long strip of the suicide victims suggests that there is more to this than meets the eye. The three detectives are pretty slow and are shown the connection by a hacker known as ‘The Bat’ via a website containing red and white dots corresponding to the suicide victims. From a seemingly simple start the film takes a very odd turn away from suicide towards out and out brutal murder in the guise of Genesis and self-titled Suicide Club. Genesis (Rolly Teranishi) is an amalgamation of David Bowie in Labyrinth and Alex DeLarge in A Clockwork Orange with a penchant for murder and sparkly cat suits. From the opening credits right until the closing credits, the soundtrack is provided by the pre-teen girl band Dessert hinting at more sinister messages to their upbeat pop songs. The sound track provides and eerie contrast to the casual death taking place on screen. The special effects in the film are naïve due to the low budget (only $250,000)but does not hamper the impact of the scenes in any way, although there is one point where you can see people throwing buckets of fake blood around. Amazingly, Suicide Club takes place over only six days from the 27th May until the 2nd June ending at Desserts final secret concert. Suicide Club was written and directed by Sion Sono (Love Exposure, Noriko’s Dinner Table) and is a confident and complex film, if a little bewildering at times. It is the type of film that needs more than one viewing to get the most out of and leaves the viewer questioning and discomforted with no real resolution. This film does not fit neatly into any of the usual categories (serial killer, ghosts, creature features etc) rather sits as a commentary for life in the 21st century and people’s relationship with themselves, popular culture and the internet. Suicide club is not the film to watch when in the mood for jumps and scares, rather it niggles at the edge of your mind for hours afterwards. Fun Fact: There is a manga of the same title written by Usamaru Furuya following a slightly different view point. If any of you have read it, let me know what you think in the comment section below!